The 13th International Competition for The Erik Bruhn Prize will be Saturday, March 23 at 7:30 p.m. at the Four Seasons Centre for the Performing Arts in Toronto. 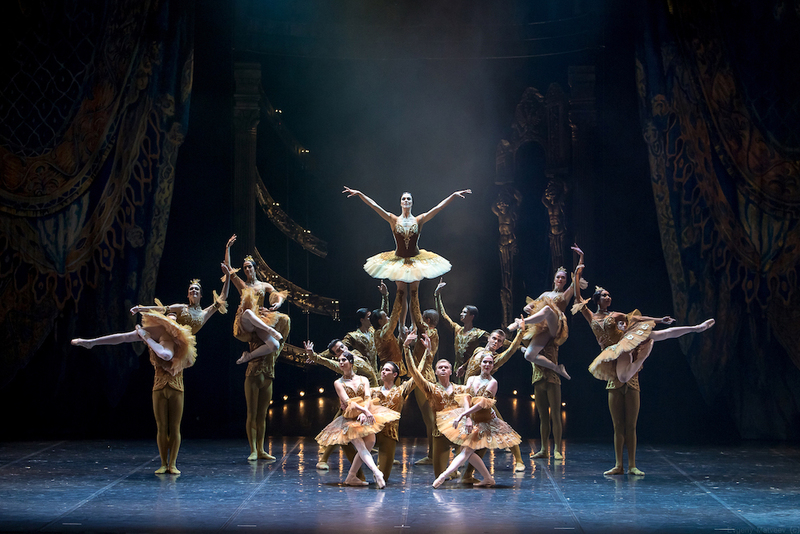 The companies participating in this year’s competition are American Ballet Theatre, The Hamburg Ballet, The Royal Danish Ballet and The National Ballet of Canada. Canada’s Ballet Jörgen has revived its original full-length ballet Anastasia for a special 30th Anniversary National Tour. Choreographed by Artistic Director and CEO Bengt Jörgen, Anastasia originally premiered on October 23, 2007 and is being restaged to commemorate the 100th anniversary of Anastasia’s disappearance. 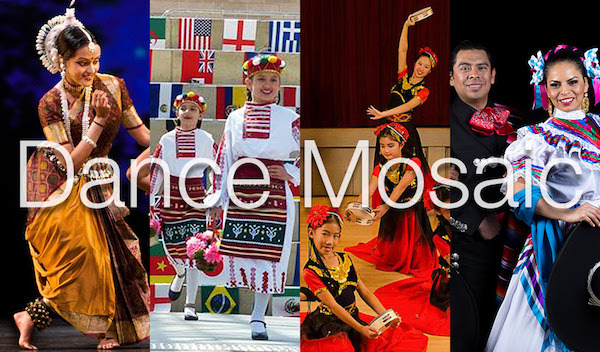 The National Ballet of Canada’s Artistic Director Karen Kain recently announced Dance Mosaic: Canada 150. To celebrate Toronto’s vibrant and diverse dance community, several organizations have been invited to attend a special, free performance of The Nutcracker on Friday, December 8 in honour of Canada’s 150th anniversary. The Dancer, a French feature film by Stéphanie Di Giusto, will be released in the U.S. and Canada in select theaters beginning December 1, 2017. Inspired by the lives of dance legends Loïe Fuller and Isadora Duncan, the film captures two seminal figures in the history of modern dance and theatrical performance. Ballet Kelowna in the south of Canada’s British Columbia is once again offering a preview of the season’s dancers and upcoming performances. It will present its 4th Annual Launch event on Thursday, October 5 from 7–8 p.m. 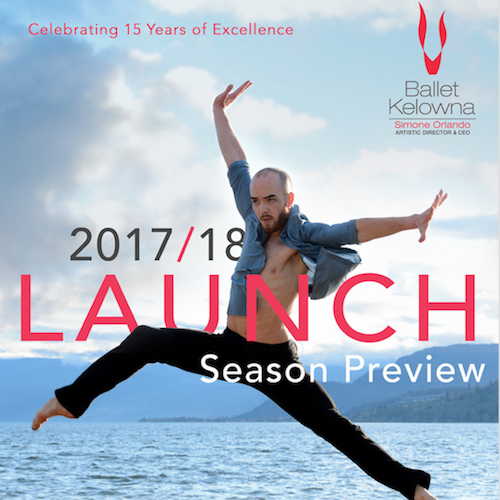 Hosted by Artistic Director and CEO Simone Orlando, this event is open to the public and provides a unique opportunity to get up-close-and-personal with Ballet Kelowna. The 2017–18 Season marks Danse Danse’s 20th Anniversary—20 years of discoveries, enjoyment and continuous evolution. This year’s program features 15 shows and 14 companies, including six from Quebec, one from Norway, one from Finland, and special guests from New York, Vancouver, Barcelona, London and Taiwan, presented at Place des Arts. Kaha:wi Dance Theatre, one of Canada’s leading performing arts companies based in Toronto, will soon host Living Ritual, an international Indigenous performing arts festival. The special event will see artists from across Turtle Island (Canada, United States), Aotearoa (New Zealand) and Australia gather to network, perform, celebrate, promote and dialogue about Indigenous artistic practice. The Disney Channel recently began production on a new TV movie musical named Zombies. 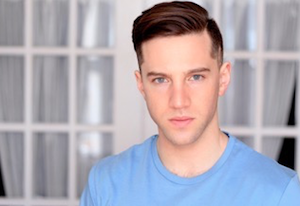 Featuring choreography by Christopher Scott, it will follow the story of teen zombies from “Zombietown.” So You Think You Can Dance Canada Season 1 Runner-up Miles Faber joined the cast. 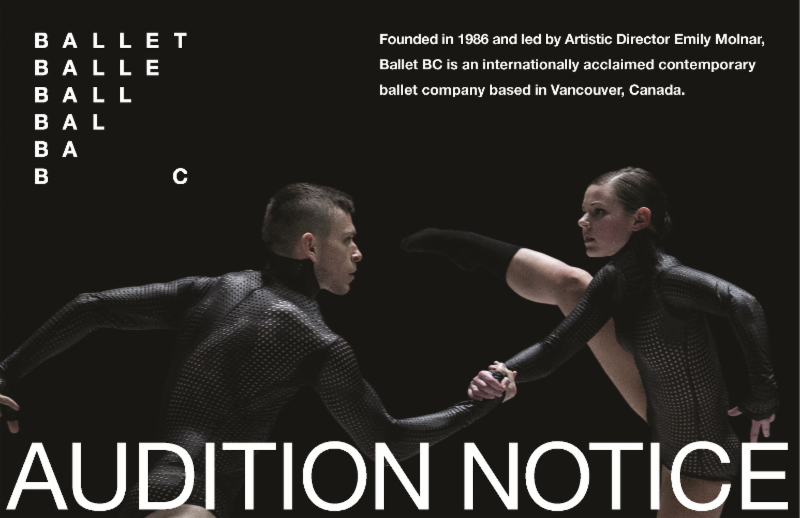 For the 2017-18 Season, Ballet BC is looking for full-time artists and apprentices, as well as young dancers to participate in the company’s Summer Dance Intensive. To fill these spots, the 30-year-old ballet company based in Vancouver, Canada, will hold auditions in New York City and Montréal, QC. Kaha:wi Dance Theatre, one of Canada’s leading contemporary dance companies, led by multi award-winning Artistic Director Santee Smith, presents a bold, timely, sonically and visually arresting interdisciplinary performance entitled Re-Quickening for its 2016 dance season in April/May. Body Wrappers/Angelo Luzio recently announced that it would fund a Canadian study on dance and its effects on mental health. The groundbreaking study includes the National Centre for Dance Therapy in partnership with Les Grand Ballets Canadiens de Montréal, McGill University and York University of Canada. The National Ballet of Canada recently announced it’s 2016-17 Season. The programming for the 65th Anniversary Season includes the world premiere of Pinocchio by Will Tuckett, the Canadian premiere of A Streetcar Named Desire by John Neumeier, the North American premiere of Genus by Wayne McGregor, plus tours to New York City and Ottawa. Ballet Kelowna is a 14-year-old company bringing dance to British Columbia and the Canadian west. It is celebrating the New Year with a mixed repertory program entitled Boundless, which will be presented at three venues in February and March. Showcasing the artistry of four distinct choreographers—including former National Ballet of Canada dancer Matjash Mrozewski and Kelowna’s own award-winning Joshua Beamish—the evening is replete with themes of youthful vitality and burgeoning love. Calling all Royal Academy of Dance (RAD) students in Canada! In 2016, the RAD Dance Challenge is coming to Toronto’s Betty Oliphant Theatre in early April and Vancouver’s Scotiabank Dance Centre in late May. A two-day competition for young classical ballet dancers age 18 and under, the event culminates in a showcase of solo performances. The Festival des Arts de Saint-Sauveur (FASS) returns July 29-August 8 under the helm of Guillaume Côté. It will present performances by Gauthier Dance, Coleman Lemieux & Compagnie, Les Ballets Jazz de Montreal and artists from New York City Ballet, the National Ballet of Canada and Kidd Pivot. Fantasy meets visually exquisite dance in choreographer John Alleyne’s The Faerie Queen – A Ballet Based On A Midsummer Night’s Dream, which will be presented by Canada’s Royal Winnipeg Ballet (RWB) this month. 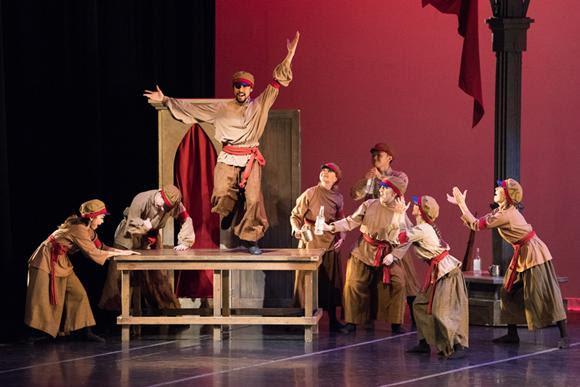 In this full-length ballet based on Henry Purcell’s opera of the same name, and on Shakespeare’s magical comedy, audiences will explore contrasting elements and see what happens when they collide with one another. Ballet Kelowna will close its 2014-15 Season with two world premieres and one company premiere from some of the country’s leading contemporary ballet choreographers—James Kudelka, Shawn Hounsell and Ballet Kelowna’s own Artistic Director and CEO Simone Orlando—in Forward: A Mixed Repertory Programme at the Kelowna Community Theatre on April 24 at 7:30 p.m.
From January 30–February 1, Houston Ballet will present Alberta Ballet as part of the Cullen Series. Under the artistic direction of Jean Grand-Maître, Alberta Ballet will perform Love Lies Bleeding, a celebration of the music of rock legend Sir Elton John and his writing partner Bernie Taupin. This weekend, Houston Ballet will tour to Detroit, Michigan for the first time to perform at the Detroit Opera House on Saturday and Sunday (November 1 and 2) in Ai-Gul Gaisina’s staging of Giselle. 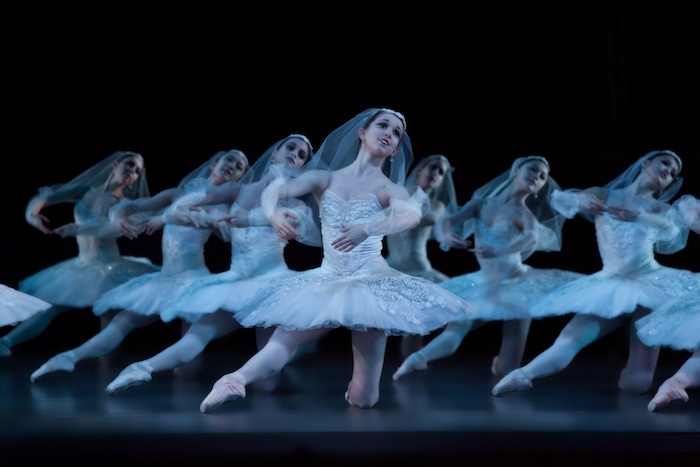 Then in late April 2015, Houston Ballet will return to Canada to perform Artistic Director Stanton Welch’s acclaimed staging of La Bayadère in Calgary and Edmonton. Vancouver-based Ballet BC has established a reputation as an ascending force in contemporary ballet on the international scene ever since the dancer and choreographer Emily Molnar was named artistic director. This Canadian company will offer Montreal audiences three hidden treasures from Europe in its upcoming triple bill, featuring works by Medhi Walerski, Jacopo Godani and Johan Inger.